Play Canasta online for free now! 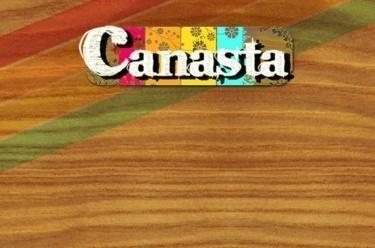 Canasta (from Spanish canasta: basket) is a card game for 2 or 4 players. Invented in Montevideo, it spread first to Uruguay and Argentina then to the USA and Europe. In the 1950s, Canasta was the card game most often played in addition to bridge. Teams of two are formed when playing with four players. The aim is to achieve as many points as possible by announcing cards of matching status, particularly the “Canastas”. At the start of the game, a specific number of points is agreed. The player that is the first to achieve this number wins the round. If several players exceed the number of points, the one with the most points is the winner. Enjoy the Latin American flair of this entertaining game!